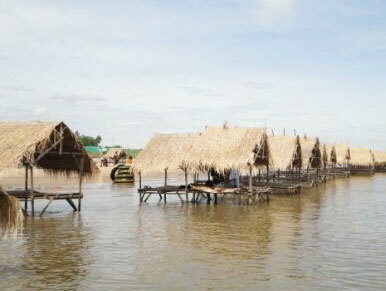 Koh Dach, Phnom Penh is an island about 15km north of Phnom Penh on the Mekong River. There are two reasons to visit this 30 square kilometre island — for the beach, or to check out the handicrafts that local artisans make. The beach is very popular with locals on the weekends but during the week you will have the run of the place. 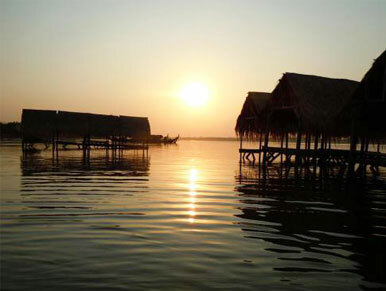 You can get to Koh Dach by catching a tourist boat from the Tonle Sap — many pleasure cruises on the Mekong include a stop here in their itinerary. A cheaper option is to catch a ferry. Cross the Japanese Bridge and about 2.5km east look for a Chinese temple on your right. Pass through its gates, and head toward the river. Once at the river, turn left, and you’ll find where the ferries depart. Bargain your fare — about 500 riel for one person, 2,000 riel for a person and their moto, and 8,000 riel for a car and its passengers. Once you are off the ferry, tour around the island, stopping in to see the carvers, potters and weavers. Don’t expect to get any great bargains — prices here will be similar to those at the market. However, you will be eliminating the middleman to the advantage of the artisan. By the time you’ve had your fill of handicrafts, you should have had your fill of the heat as well. 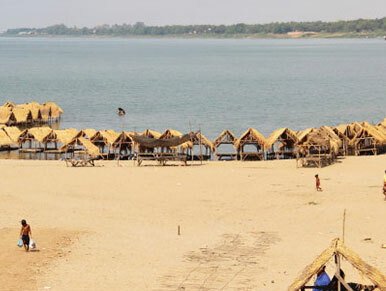 During the dry season, check out the beach and go for a swim. On the way, expect to go through a tollbooth that charges foreigners $1 for entry. Once you’re at the beach, you’ll see thatch huts lining the shore. If lounging in one of those huts over the water suits your fancy, just pay another dollar to be carried out royalty style. The owner of the hut will provide you with drinks and (as always!) plenty of ice. Don’t worry about a scam involving the bill — you will pay a fair amount for what you get. People selling fruit, pottery, silk and other crafts will stop by. Koh Dach may not be Sihanoukville, but it’s also not a four-hour drive from Phnom Penh. Be warned that during the wet season the water becomes clouded with sediment and the level rises, covering the most desirable white sand. 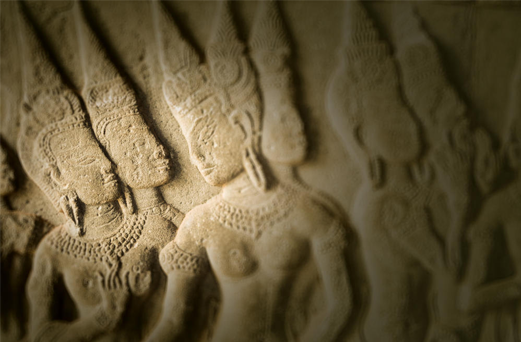 Anyway, if you are visiting Phnom Penh, make a day trip to that wonderful ‘Silk Island’. In the dry season there’s even a quite pleasant ‘beach’ on the north side of the island (and yes, the water there is clean). Negotiate your trip with one of the boat owners on Phnom Penh’s river boulevard, Sisowath Quay.